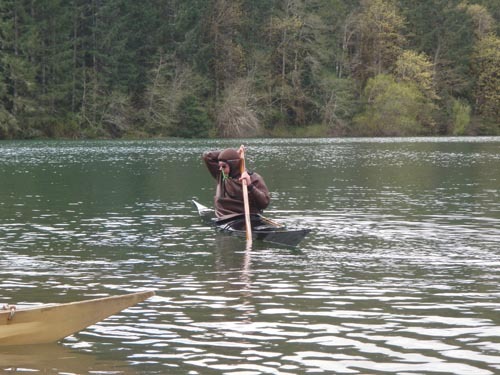 Last week I meandered up the West Coast to do a presentation on Israel for the Oregon Ocean Paddling Society’s (OOPS) general meeting. 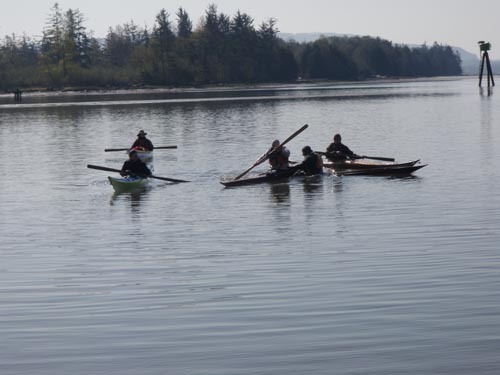 OOPS is based out of Portland and is an active Club with a full range of paddling opportunities. I drive through Portland a lot, and it’s somewhere that I always tell myself that I need to stop and actually see. I had two days off before my rolling clinics, so Joanne Barta, Don Beale and myself explored the City. We visited outdoor stores, old furniture stores, vintage stores, and I got sucked into Powell’s, the largest independent used and new bookstore in the world, where I managed to spend an entire day. One evening Joanne and I rode an aerial tram over Portland, checking it out from a bird’s eye view. On Saturday I taught three rolling clinics on a beautiful lake. We got lucky with the weather, as the West Coast seems to have had continuous rain for several months. Don Beale working on his rolls. 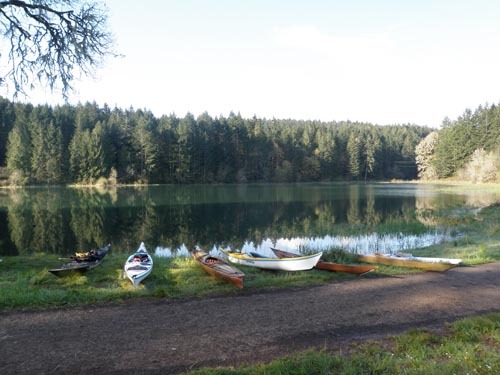 On Sunday we drove up to Skamokawa in Washington for a one day symposium called Oregon Ocean Paddlers Traditional Inuit Kayaking Symposium (OOPTIKS). 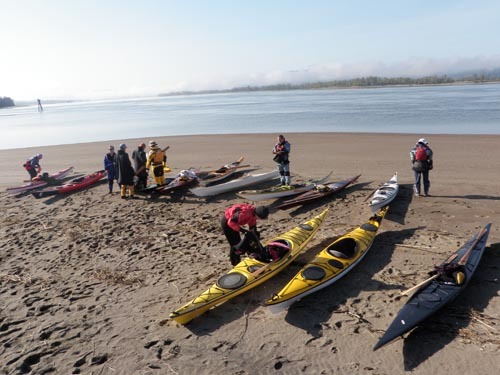 OOPTIKS is a practice event for the South Sound Traditional Inuit Kayak Symposium (SSTIKS), a much larger event that takes place next month. It was great to see the SSTIKS people. This year SSTIKS celebrates its 10 year anniversary. 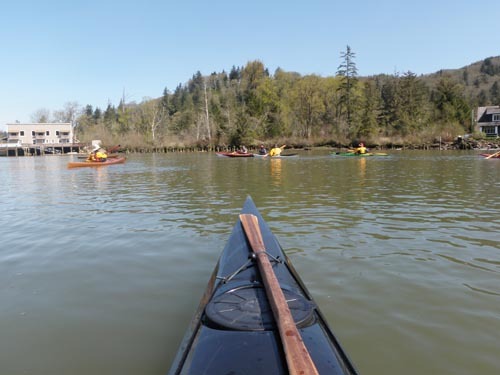 It was the event that introduced me to traditional kayaking, and I’ve been there every year since. If you’re thinking of going to a symposium this year, SSTIKS is a wonderful one to attend. OOPTIKS takes place in a gorgeous location on the Lower Columbia River. I instructed the Manuevering Strokes class with Joanne in the morning, and taught rolling all afternoon. There was also an entertaining safety and rescue demonstration and lots of informal instruction. After OOPTIKS I made my way back down the coast, looking forward to its sister event next month. Hope to see you there!